We've got a collection of cheats that include how to get infinite nitrous and crew charge, unlocking custom area cars and getting more money. Our huge collection of hints and tips include the best car to have against Darius, drifting and the best way to escape from police. Get out of the Map GLITCH!! We have 332 questions and 972 answers for Need for Speed Carbon. Check them out to find answers or ask your own to get the exact game help you need. What icons are the bosses car after you beat the Boss Race? Check out our walkthroughs and FAQs which includes a reward cards guide, police evasion & tactics FAQ and a Challenge series FAQ. Need For Speed: Carbon is the currently newest NFS game (excluding Prostreet, which was delayed so.. 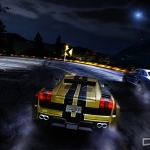 Need For Speed Carbon is the continuation of the hit race game Need For Speed Most Wanted.Few mont.. Need for Speed Carbon was one of, if not the best Need for Speed games ever. The gameplay, sound, ..
How do I unlock the car BMW M3 GTR b..
What is the best car to start with?